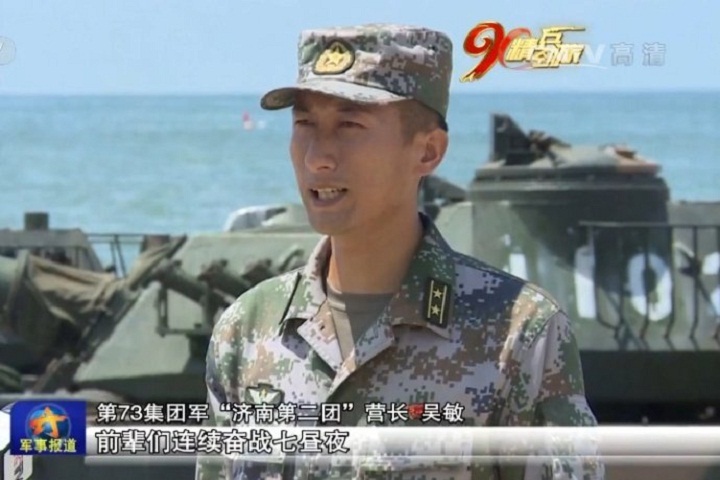 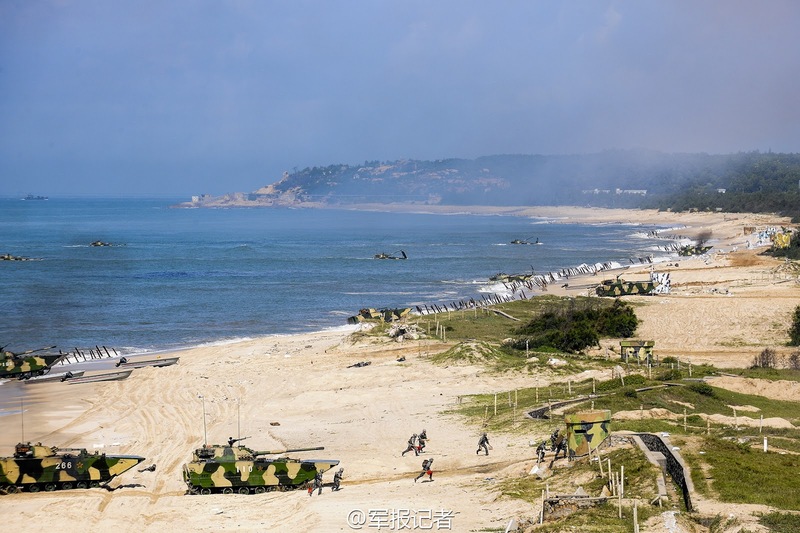 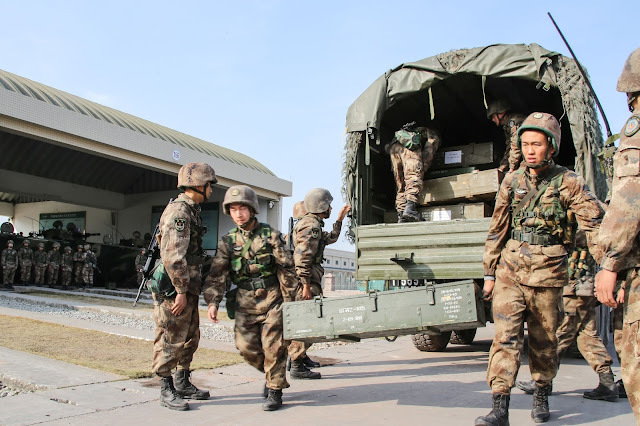 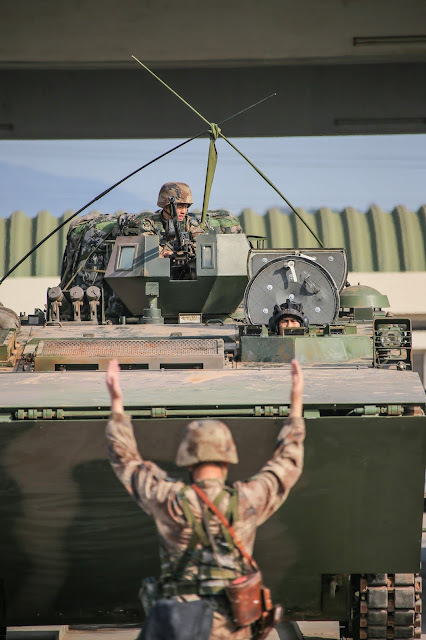 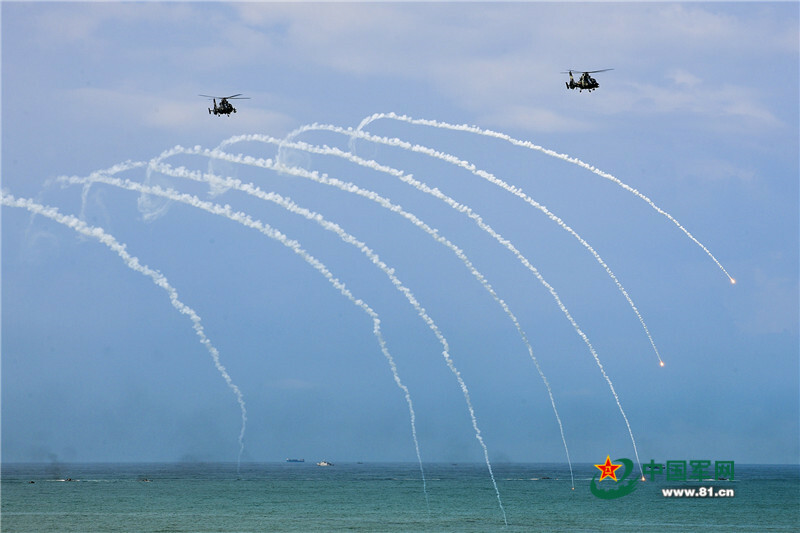 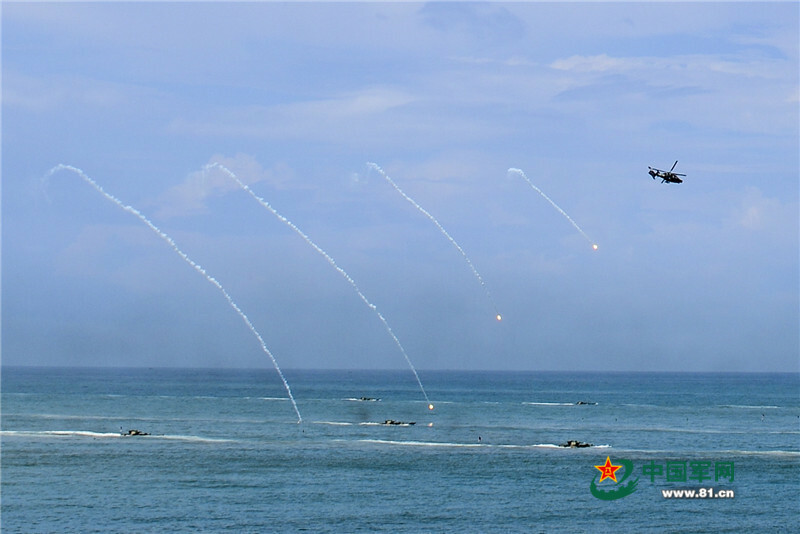 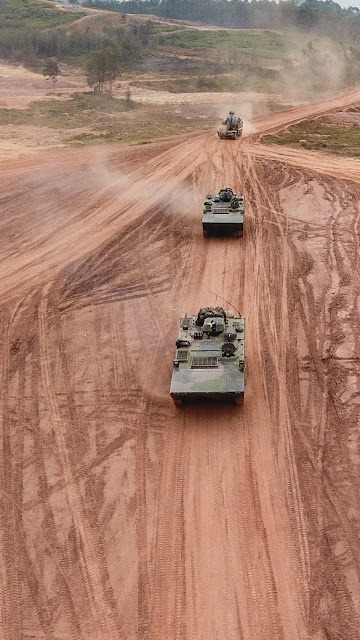 124th Amphibious Mechanized Infantry Division, 42nd Group Army -- one of PLA's elites -- was reformed into two Combined-Arms Brigades during last round of re-org 6 months ago. 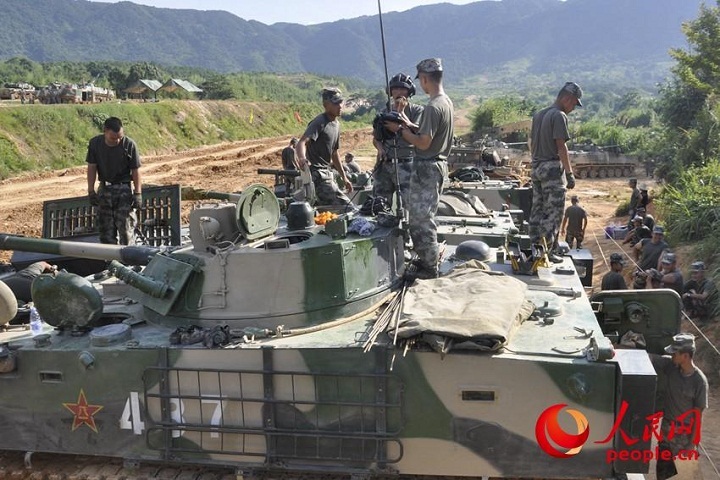 Half of the 124th became 1st Combined-Arms Brigade and the other became the 125th Combined-Arms Brigade. Both are organic to the newly minted 74th Group Army. 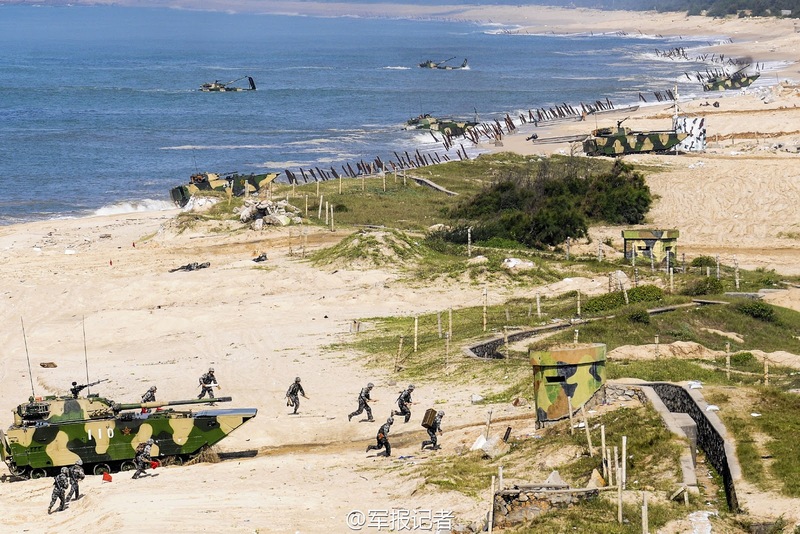 Again, credit goes to Andrew KC, both photos and updates. 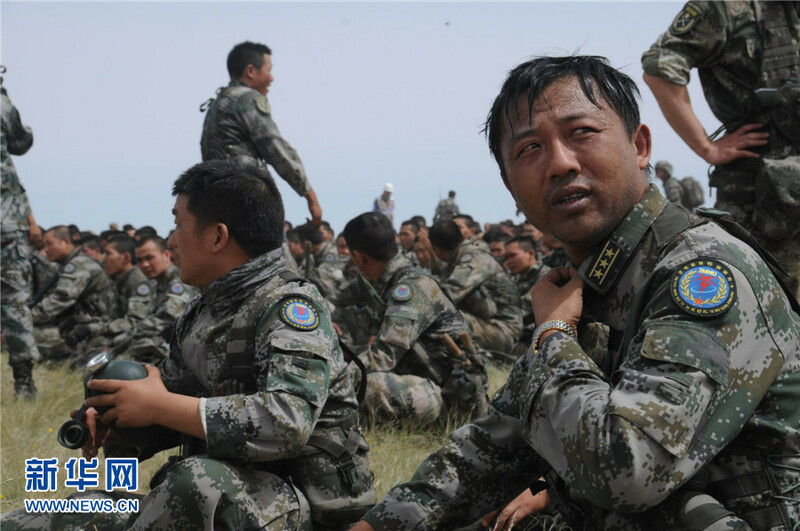 The 86th Motorized Division of the former 31st GA has been re-organized into two brigades. 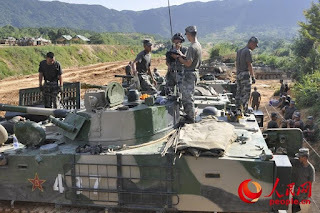 One of the brigades here is the 86th Combined-Arms Brigade (合成第86旅) of the 73rd GA, and most of its assets came from the armored regiment of the former 86th Division. 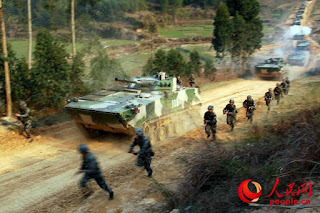 So far the Armored Infantry Battalion's ZBD04's from the former 91st Motorized Division have been consolidated into this new brigade. 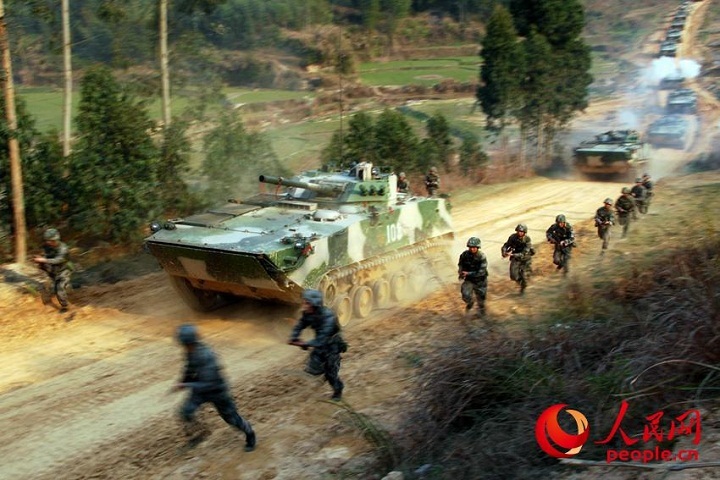 The former 3rd Motorized Infantry Brigade of the former 1st GA is now subordinate to the newly formed 73rd GA. It is now called the 3rd Combined Arms Brigade (合成第3旅). 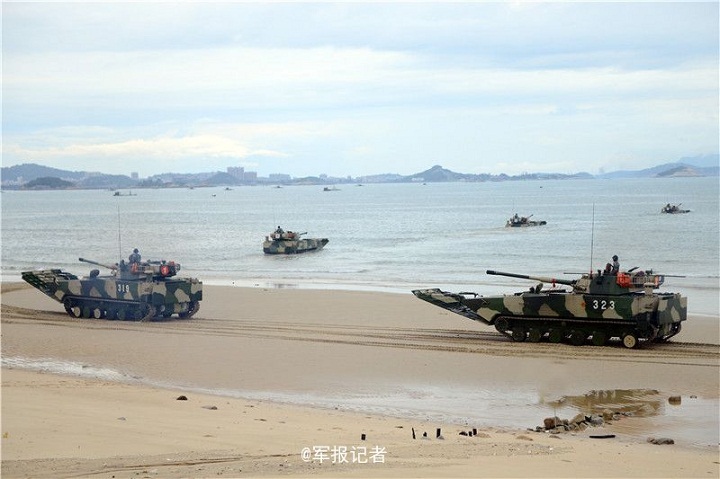 The 91st Motorized Infantry Division of the former 31st GA is now the 91st Combined-Arms Brigade (合成第91旅) of the 73rd GA. 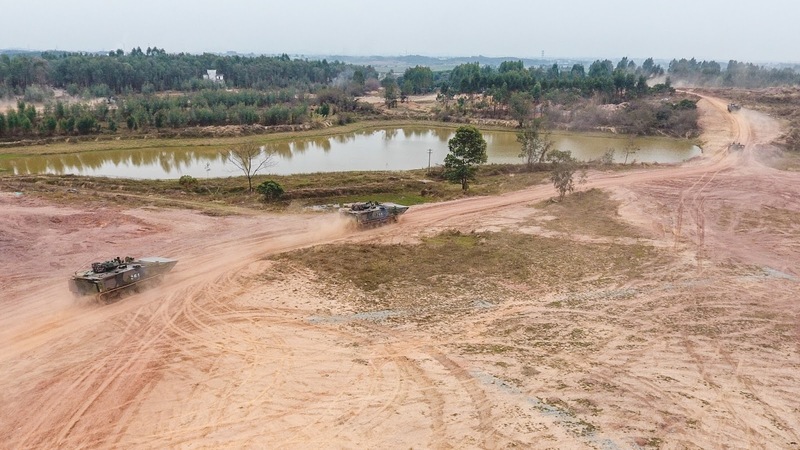 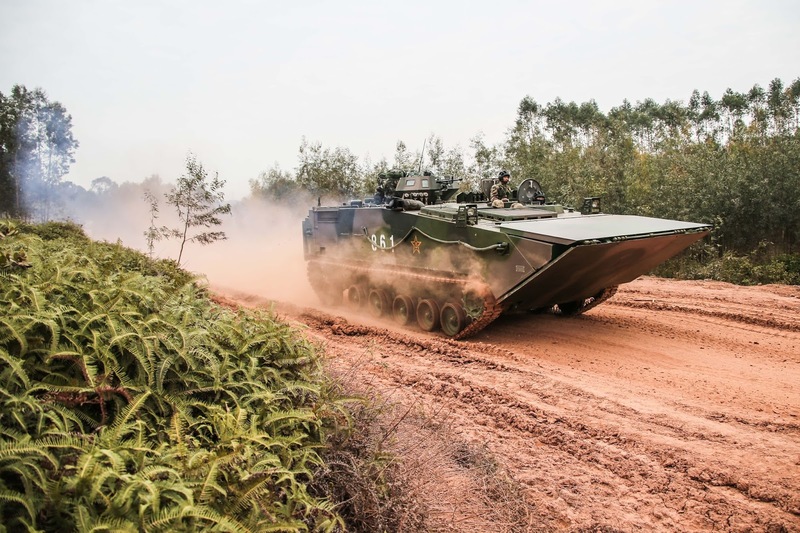 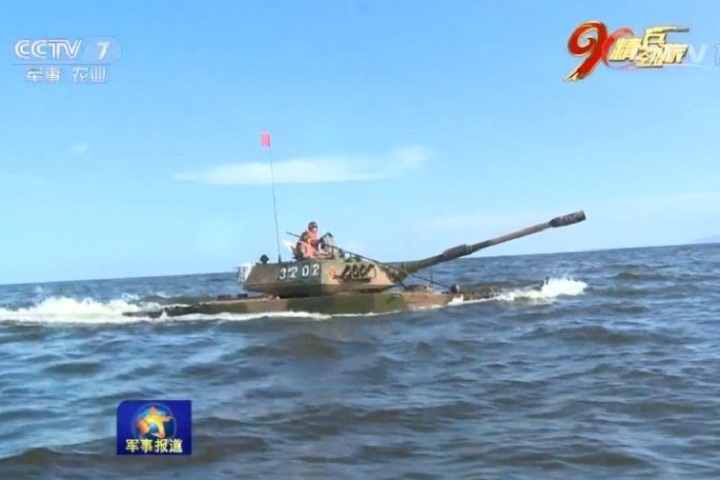 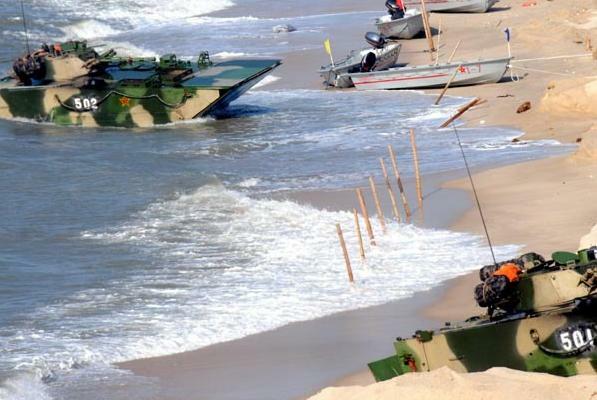 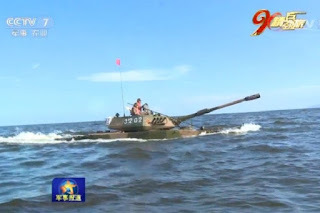 The unit is taking on amphibious role with hand-me-down Type 63A amphibious light tanks. 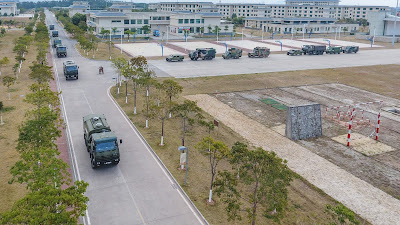 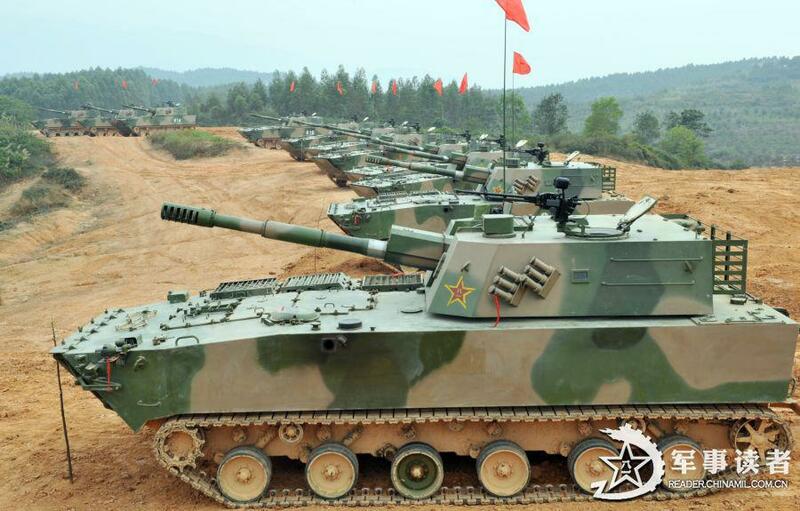 91st's four Combined-Arms Battalions (合成1,2,3,4营) are equipped with 2 companies of Type 63A each. 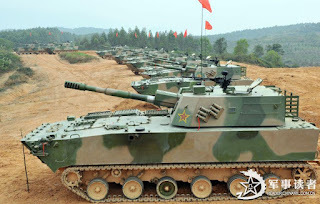 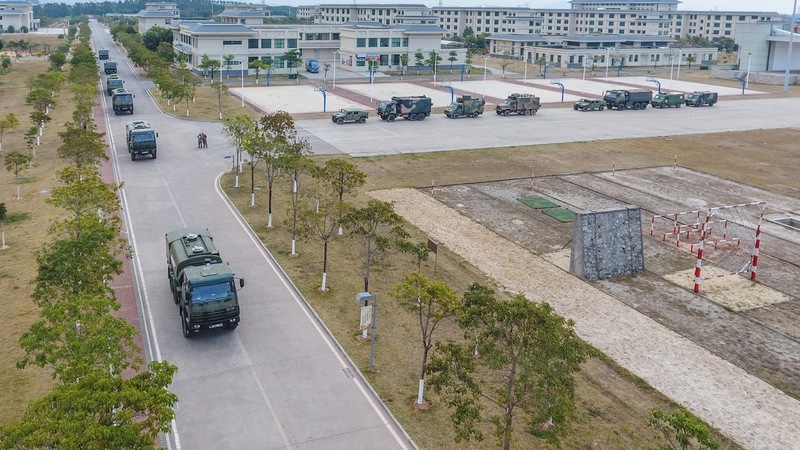 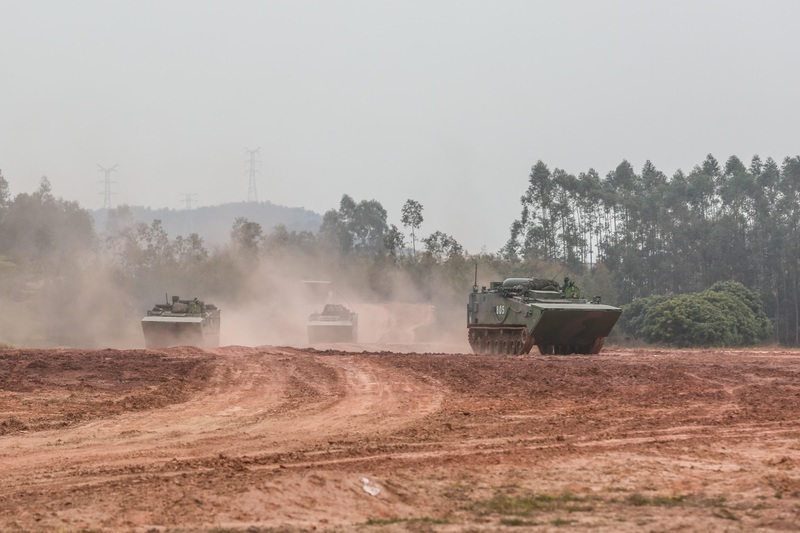 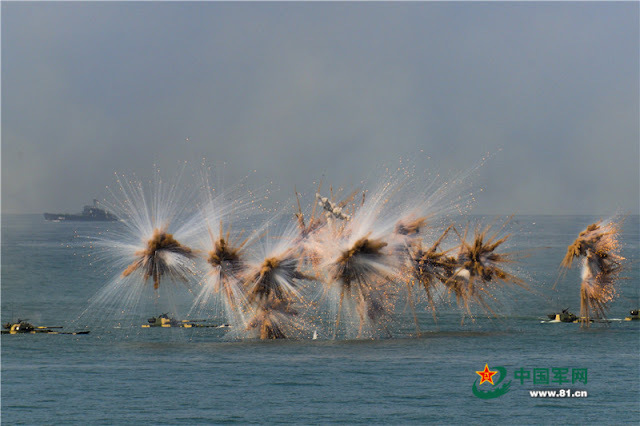 After the much-publicized unveiling of Chinese Zubr offloading a Type96 MBT in July, the 42nd Group Army, Guangzhou MR conducted another small scale (by Chinese standards) drill two days ago to hone their skills. 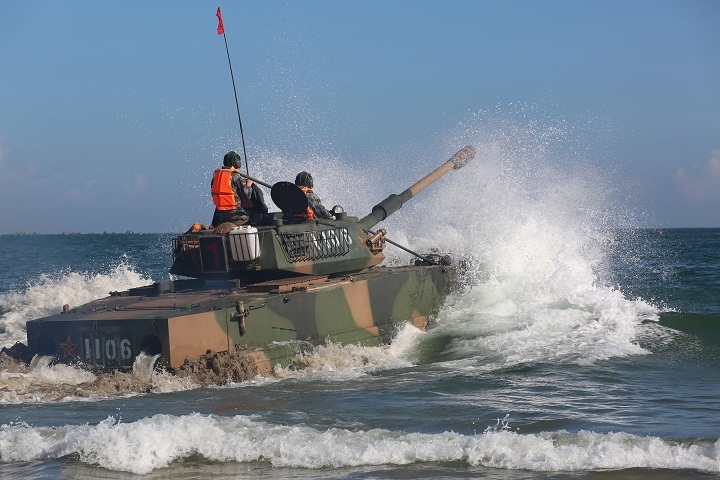 A landing craft air cushion approaches an amphibious dock landing ship during a joint landing training exercise on August 20, 2015. 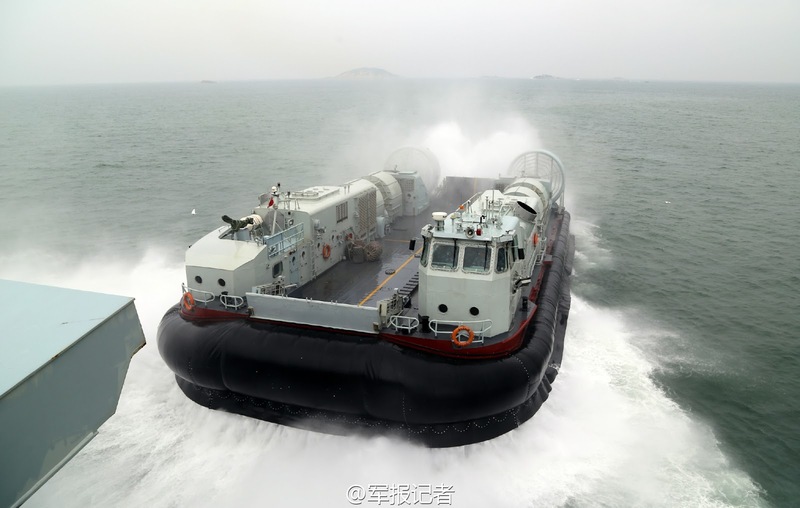 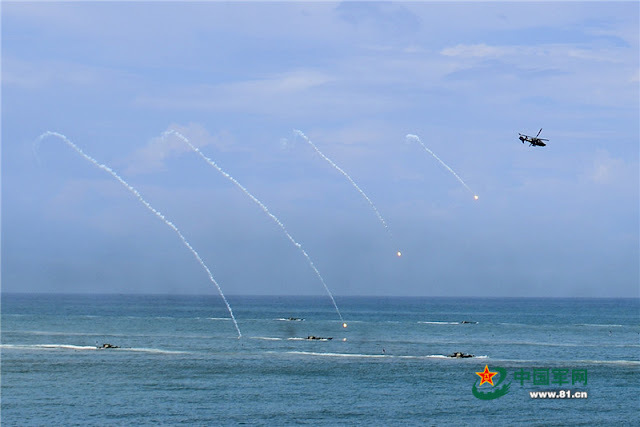 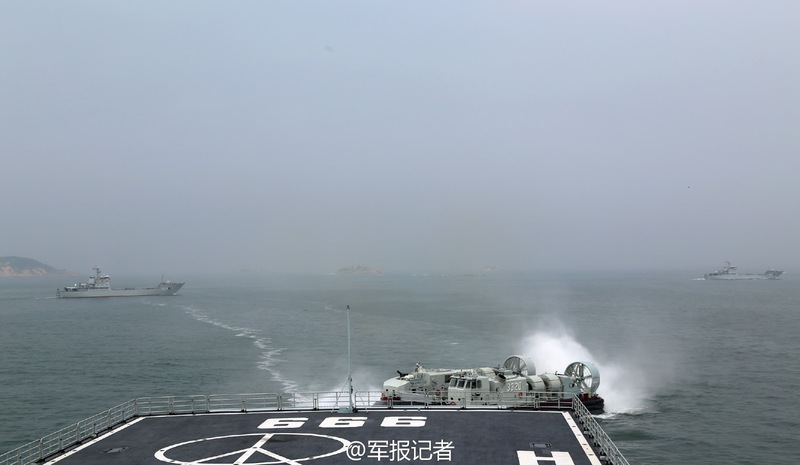 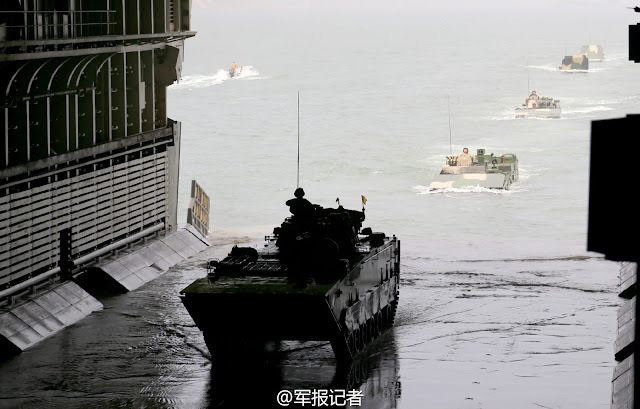 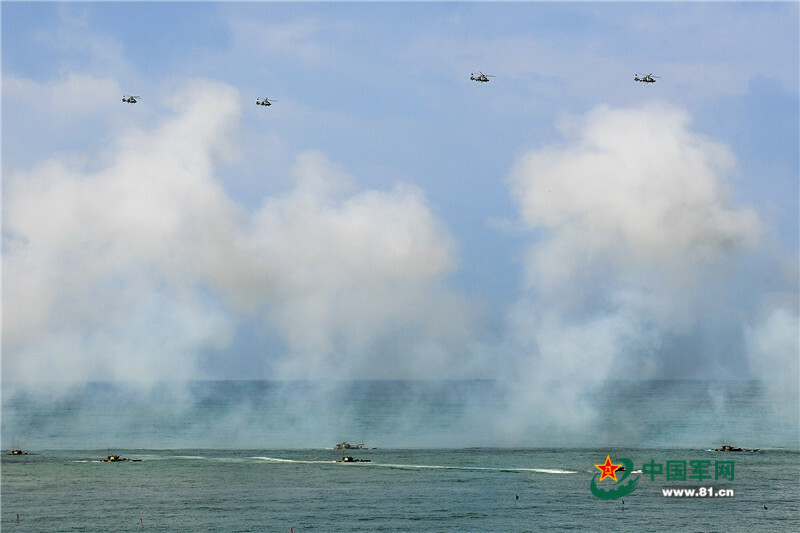 The landing craft air cushion and the amphibious dock landing ship are assigned to a landing ship flotilla under the South China Sea Fleet of the PLA Navy.